Targa went unreleased in Europe and North America. 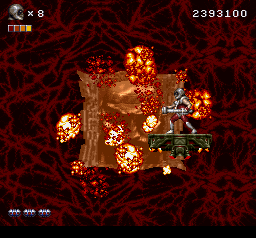 It is a hybrid between an R-type-style shooter and a Contra-style action game. It went on to be released in Japan as Rendering Ranger R2. In this article, we will have a look at this rare gem, complete with some notes from developer Manfred Trenz. Thanks goes out to Fire-WSP, who provided the screenshots, and Manfred Trenz for answering my questions. 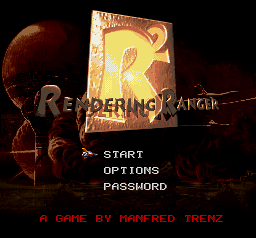 Rendering Ranger R2 is a title that bears some significance in the Super NES/ Super Famicom collecting scene. It happens to be one of the most rare games ever released for the system, with a total production run of a few thousand copies at most. Copies show up every now and then on eBay, and fetch well over $100 US each. 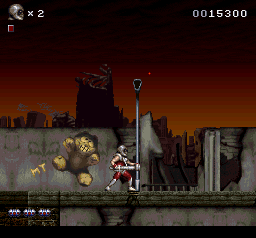 This game also happens to be developed by Manfred Trenz, who created the excellent Turrican series. 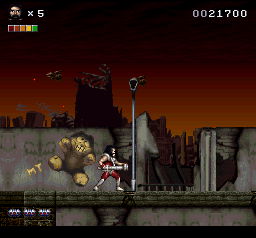 The game starts off with a Contra style action sequence. There is no story, the player merely moves forward and start shooting. You start off with a choice of a rapid fire spread gun or a focused laser gun. These can be upgraded with power ups. Later in the game, rebound and multi-directional pulse guns become available. The controls allows you to easily aim and shoot the enemies that appear above and below. The level design in the action sequences is straightforward. In the first level, the main issue is avoiding pits. In subsequent action levels, there is a bit more exploration, but there are no brain teasing puzzles. Enemies swarm you and show no mercy, so it is best to turn on the auto-fire option so you can focus on aiming. If you die, the weapon system only downgrades the currently selected weapon, so the best strategy is to switch to the weakest weapon in your arsenal if you are on the verge of death. 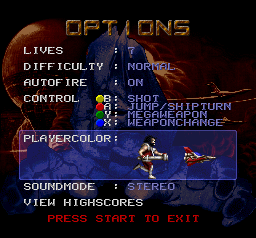 In the third stage, you are treated to an R-Type style shooter. These sequences really show off the amazing pre-rendered graphics (think Donkey Kong Country) as well as the smooth frame rate that is not seen in many Super NES games. The ship uses the same weapons as in the action sequences, and the same strategy to keep the weapons applies. The only unique power ups in the shooting levels are these pods that increase the amount of shots your ship shoots. You can collect up to two of them, and they are positioned above and below the ship (see the picture on the left). 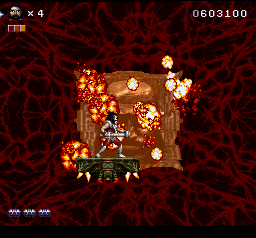 At times, the entire screen fills up with your shots, which can just barely keep up with the screen fulls of enemies. At times, there is upwards of 20 enemies coming after you at a time. It is quite awe-inspiring to see, even when compared to modern consoles. It really shows that the snes could handle a lot of sprites and not have slowdown. Rendering Ranger is well known due to its boss battles. The bosses are huge, sometimes encompassing an area larger than the screen! The first few levels have one boss at the end, but further into the game it almost gets to the point where you only fight bosses. Each boss has a particular weak point, and it takes a lot of shooting to kill them off. The sound in the game is what you would expect from a futuristic action game. The pounding snes-rock/techno suit this game, though throughout most of the game, all you will hear is the constant shooting of your weapon. The enemies don't make any noise except when you destroy them. There are appropriate buzzing noises for things like lasers. Snes Central: Why was Targa released in Japan and not in other regions? Manfred Trenz: Softgold, which was the publisher at this time, said nobody was really interested in this game except Virgin Japan. To be honest, I never believed this. SC: Why was the Targa renamed Rendering Ranger R2 in Japan? MT: The first version of Targa used old school hand drawn graphics. Since Donkey Kong came out on the SNES using rendered graphics, one (person) at Softgold came to the conclusion that this is a must for Targa too. This is where this name comes from. Simply while using rendered graphics. I still have a version with the original graphic set. 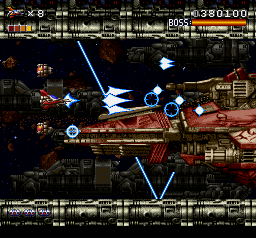 SC: Slowdown hampered many Super NES games, such as Gradius III. How did you manage to overcome this in Rendering Ranger? MT: Very very tricky assembly programming. SC: What differences are there between Targa and Rendering Ranger? MT: The entire graphics as well as some design changes. SC: How long did it take to develop Targa? 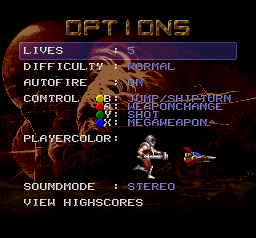 SC: Why did you make Targa have both space shooting and platform action sequences, instead of focusing on one or the other? Why did you decide to develop Targa instead of Super Turrican 3? 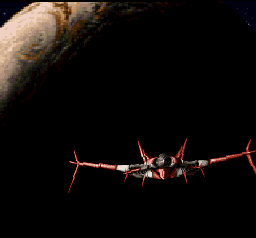 MT: At the first place Targa was intended to be a space shooting game. But Softgold was not sure if this is enough to make big sales and decided to bring in the successful jump'n'shoot Turrican elements. This is why Targa became a mixture of both. To finish off, here is a series of comparison shots of Rendering Ranger and Targa. The space shooter levels appear to be identical in both versions. 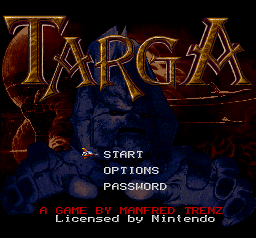 In March 2015, MrMark0673 released the ROM image of Targa. Cheers to him for releasing this gem! 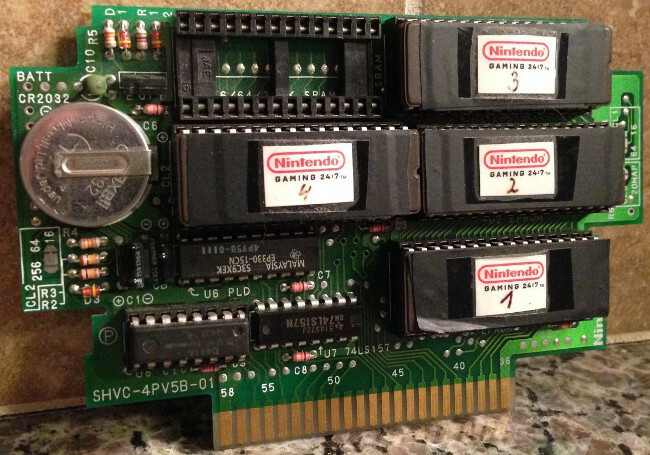 This prototype was originally sold on Ebay, and was advertised on Assembler Games by "Goemon" in 2013 prior to it being purchased by MrMark0673.